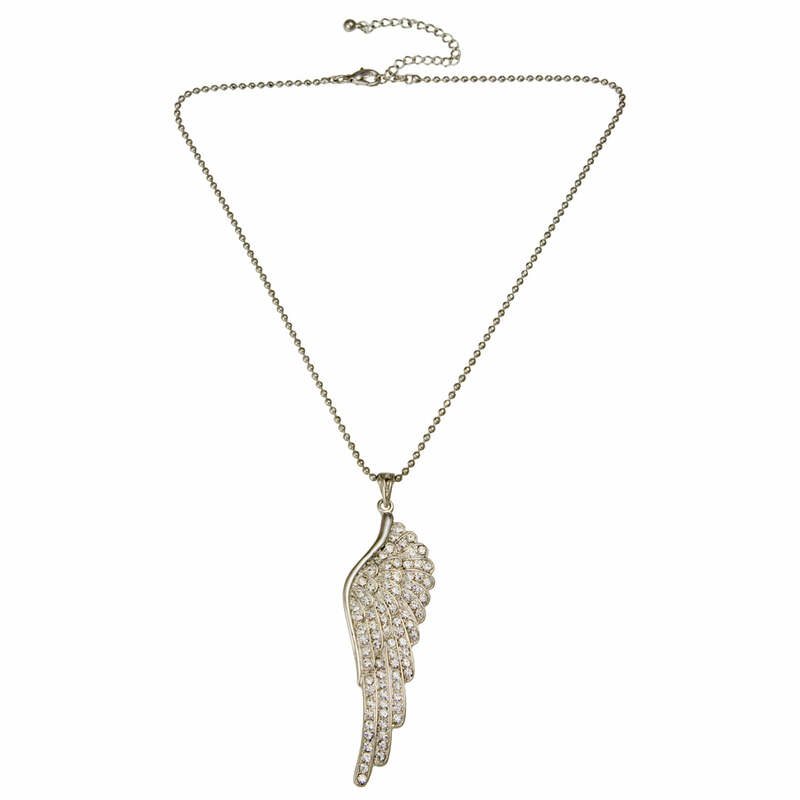 Unleash the angel in you with this fabulous crystal encrusted angel wing necklace. We all have an angelic side to us, don't we girls? So flaunt the good girl in you with this angel wing pendant. Featuring a large silver tone wing covered in sparkling Austrian crystals and complete with a co-ordinating silver tone chain, this divine neckace could easily be mistaken for a diamond 'piece' with a six digit price tag! Wear with everything from a simple vest top for laid back chic or to add sparkle to your favourite LBD. We also think this would make a fabulous and meaningful bridesmaid gift as, we're sure most brides would agree, attendants are usually angels in assuring the bride's wedding day is perfect!